This is one of the more intriguing additions to Google Analytics and here we will give a quick overview. 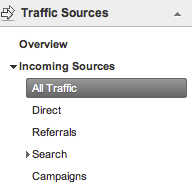 Say you are looking at your traffic levels and you want to see the most popular terms users are entering. Whilst we can use other KPI’s such as clicks to portray this, perhaps a less dry way of showing this to a client. 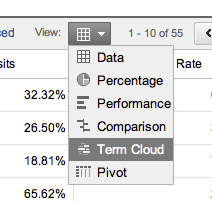 Once selected you should now see your keywords in a cloud format. How do you incorporate this into your reports? Do you use it to do any analysis or do you think it’s all a bit fluffy?